Improving indoor air quality is one of the most important things that your HVAC system does for your family. 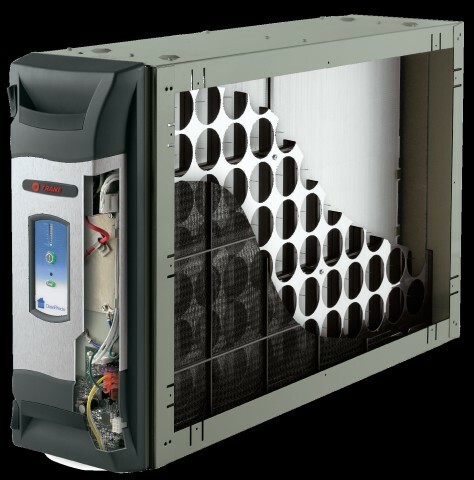 The system is continuously filtering out impurities and providing you and your family with clean air to breathe. However, if you are not proactive about taking care of your system, indoor air quality can become problematic. That’s why here at Cote’s Mechanical, we go the extra mile to teach our customers about indoor air quality while helping to improve it within your home. What should you do if you are concerned about indoor air quality in Denton and the surrounding counties? First and foremost, contact Cote’s Mechanical to make sure that you have the right equipment in place for your home. If you already have the right size HVAC unit and it is properly maintained, your home air quality should be excellent. Another step is to change your air filter on a regular basis. If you have pets, smokers, or other contaminants in the home, you should probably change your filter every 1-3 months. In addition, there are filters available to remove even the tiniest microparticles. Adding these filters can make a big difference when it comes to improving home air quality. Here in Denton and the surrounding counties in North Texas, there is a lot to consider when it comes to your home air quality; just make sure you are proactive within your home and that you schedule ongoing maintenance to make sure that your system is continuously working as it should be. These are just a few of the things that contribute to poor indoor air quality. Over time, all these contaminants build up and can lead to a problem. However, when you are careful about maintenance – especially cleaning your air ducts – you will have less to worry about. If you’re concerned about the air quality in your home, the professionals at Cote’s Mechanical can come out and test it. We can check and see what contaminants and chemicals are in the air that you breathe. Once we’ve identified what the main source of contamination is, we can determine a way to help you improve the air quality in your home. Give us a call today if you have questions or concerns about indoor air quality testing. In many cases, we can schedule this test along with our other maintenance services. At Cote’s Mechanical, we work to improve your air quality in many different ways. The most important step is ductwork cleaning. We dig in deep and clean your air ducts from top to bottom, removing the contaminants and allowing you to have clean and fresh air to breathe once more. We can also clean other parts of your HVAC system and replace any inefficient or broken parts as necessary. To help you keep your indoor air cleaner for longer, we can perform regular maintenance and cleanings on your system. Another great option is adding attic fans to your home. The team at Cote’s Mechanical is highly concerned about the health and safety of our customers. Indoor air quality is one of our top priorities. We are always happy to talk to our customers about indoor air quality and the things that they can do to improve it with our help and on their own. If you have any questions about your indoor air quality or want to schedule a testing, don’t hesitate to call or contact us. We look forward to working with you.